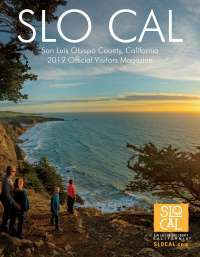 Tucked into Southern California’s Central Coast region, halfway between Los Angeles and San Francisco, San Luis Obispo County (known as SLO CAL) is a beautiful area that is anything but quiet. The famous Pacific Coast Highway and attractions like Hearst Castle in San Simeon bring road trippers from all over the world. However, just passing through doesn’t do it justice—take time to really dig into all the amazing activities here. 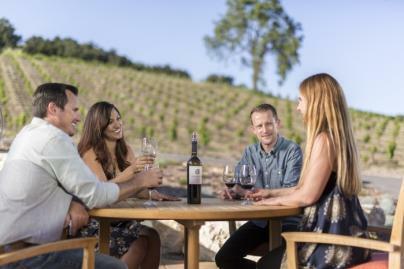 At Expedia.com, we’ve picked the best things to do in SLO CAL in 2017, from our favorite new wine tasting rooms to the destination’s top hotels. SLO CAL expertly brings together old and new, and the restaurant scene is no exception. The hamlet of Arroyo Grande is the perfect blend of modern dining and turn-of-the-century history. Drop into Ember, which was opened by local Brian Collins in 2013, for expertly wood-fired dishes that will delight your taste buds. For dessert, travel back in time at Doc Burnstein’s Ice Cream Lab in the Historic Village, a creative, yet old-fashioned ice cream parlor that’s earned accolades from Westways magazine. 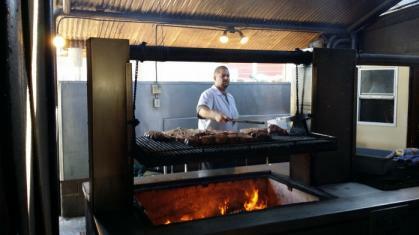 Head south on Highway 101 and you’ll come across another Central Coast institution: Jocko’s Steak House in Nipomo, where it’s all about the beef. Deciding how to order it up – as a steak, barbecue or award-winning burger – is the hardest choice you’ll make all day. In fact, just go ahead and try all three. With rave reviews from the likes of LA Eater, this restaurant shines. We promise you won’t regret it. The tiny inland town of Pozo, located 30 miles east of the city of San Luis Obispo, is another spot where you may be surprised to find that perfect combination of past and present. Outside the Pozo Saloon, you’re as likely to see horses as you are motorcycles. Built in 1858, this original saloon serves up classic burger-and-fries lunches with a definite Old-West feel. That is, except for the summer concerts. Everyone from Willie Nelson to Snoop Dogg has played here, so grab a signature Pozo martini and get grooving. Speaking of grooving, there are plenty more places where you can tap your toes in SLO CAL. At first glance, Avila Beach seems to be a sleepy beach town. However, this trendy tourist spot plays host to free summer concerts along the beach, where you might hear anything from Celtic tunes to classic country. And Avila Beach Golf Resort has lately become the place to be for events like the Tequila Festival and the Blues Festival, both held over Memorial Day weekend, and reggae concerts in the summertime. Dancing in Avila Beach will surely get your heart rate up, but if you’re looking for a true outdoorsy adventure, you’ll find that in SLO CAL as well. 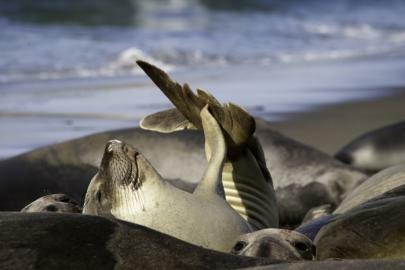 Hike, bike and kayak with Central Coast Outdoors in Morro Bay and make your way to Elephant Seal Vista Point in San Simeon for views of these silly creatures from November to February. Or, have an epic zipline experience with Margarita Adventures in Santa Margarita, including scenic valley and vineyard views. If those vineyard vistas have inspired you, head on up to Paso Robles, in SLO CAL’s northern wine country. Home to more than 200 wineries, plus organic farms and delicious restaurants, you really can’t go wrong here—and there are especially exciting things happening this year. The 35th Annual Paso Robles Wine Festival takes place May 18–21, and the yearly Harvest Wine Weekend is October 20–21 in 2017. Can’t make it for a festival? Any time of year, check out the state-of-the-art winery and tasting room at Halter Ranch and Adelaida Vineyards’ exclusive Reserve Tasting in its brand-new Sensory Room. The Madonna Inn, a landmark hotel that’s been open since 1958, is a SLO CAL classic. 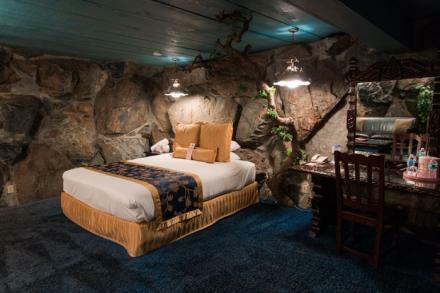 Featuring over 100 uniquely themed guest rooms from the “Caveman” to “Swiss Chalet,” a stay in these digs will truly transport you to another place. If you’re looking for the newest of the new, SLO Brew Lofts in downtown just opened in 2016. These exclusive condo-style suites are directly over SLO Brew’s pub and just steps from Monterey Street, which is in the midst of a huge revitalization project, including modern retailers (a la H&M), local boutiques and loads of restaurants. Want to stay beachside? If you’re not afraid of heights, consider Shore Cliff Hotel in Pismo Beach, set far above the waves on a 90-foot clifftop. For a romantic getaway, check into Back Bay Inn, nestled amongst the coves of Morro Bay in the Los Osos/Baywood Park area. With its perfectly secluded location and complimentary nightly wine reception, this place is sure to make sparks fly. It’s shaping up to be an incredible year in SLO CAL, from festivals and live music to new restaurants and hotels. Whether you want to make a splash on the beach or at a winery, there’s something for everyone in SLO CAL. Join us in 2017 and see what all the excitement is about.